When IT administrators think of GPUs, the first thing that comes to mind for many is gaming. But GPUs also have business applications. They’re mainly found in high end workstations to support graphics intensive applications like 3D CAD and medical imaging. But GPUs will have other uses in the enterprise. Many of the emerging technologies, such as artificial intelligence and deep learning, utilize GPUs to perform compute operations. These will start finding their way into the data center, either as part of line-of-business applications or as part of IT operations tools. This could also allow the business to utilize GRID environments after hours for other forms of data processing. This guide will show you how to build headless virtual machines that can take advantage of NVIDIA GRID vGPU for GPU compute and CUDA. In order to do this, you will need to have a Pascal Series NVIDIA Tesla card such as the P4, P40, or P100 and the GRID 5.0 drivers. The GRID components will also need to be configured in your hypervisor, and you will need to have the GRID drivers for Linux. I’ll be using CentOS 7.x for this guide. My base CentOS configuration is a minimal install with no graphical shell and a few additional packages like Nano and Open VM Tools. I use Bob Planker’s guide for preparing my VM as a template. Deploy your CentOS VM. This can be from an existing template or installed from scratch. This VM should not have a graphical shell installed, or it should be in a run mode that does not execute the GUI. Attach a GRID profile to the virtual machine by adding a shared PCI device in vCenter. The selected profile will need to be one of the Virtual Workstation profiles, and these all end with a Q. GRID requires a 100% memory reservation. When you add an NVIDIA GRID shared PCI device, there will be an associated prompt to reserve all system memory. Copy the Linux GRID drivers to your VM using a tool like WinSCP. I generally place the files in /tmp. When prompted, select yes to register the kernel module sources with DKMS by selecting Yes and pressing Enter. You may receive an error about the installer not being able to locate the X Server path. Click OK. It is safe to ignore this error. Install the 32-bit Compatibility Libraries by selecting Yes and pressing Enter. At this point, the installer will start to build the DKMS module and install the driver. After the install completes, you will be prompted to use the nvidia-xconfig utility to update your X Server configuration. X Server should not be installed because this is a headless machine, so select No and press Enter. The install is complete. Press Enter to exit the installer. To validate that the NVIDIA drivers are installed and running properly, run nvidia-smi to get the status of the video card. Fill in the ServerAddress and BackupServerAddress fields with the fully-qualified domain name or IP addresses of your licensing servers. Set the FeatureType to 2 to configure the system to retrieve a Virtual Workstation license. The Virtual Workstation license is required to support the CUDA features for GPU Compute. Download the NVIDIA CUDA Toolkit. Make the toolkit installer executable. Execute the CUDA Toolkit installer. You will be prompted to download the CUDA Driver. Press N to decline the new driver. This driver does not match the NVIDIA GRID driver version, and it will break the NVIDIA setup. The GRID driver in the VM has to match the GRID software that is installed in the hypervisor. When prompted to install the CUDA 9.0 toolkit, press Y. Accept the Default Location for the CUDA toolkit. When prompted to create a symlink at /usr/local/cuda, press Y. When prompted to install the CUDA 9.0 samples, press Y. Accept the default location for the samples. Log in and run nvidia-smi again. Validate that you get the table output similar to step 15. If you do not receive this, and you get an error, it means that you likely installed the driver that is included with the CUDA toolkit. If that happens, you will need to start over. At this point, you have a headless VM with the NVIDIA Drivers and CUDA Toolkit installed. So what can you do with this? Just about anything that requires CUDA. You can experiment with deep learning frameworks like Tensorflow, build virtual render nodes for tools like Blender, or even use Matlab for GPU compute. One of the defining features of the Nutanix platform is simplicity. Innovations like the Prism interface for infrastructure management and One-Click Upgrades for both the Nutanix software-defined storage platform and supported hypervisors have lowered the management burden of on-premises infrastructure. Nutanix is now looking to bring that same level of simplicity to migrating virtual machines to a new hypervisor. Nutanix has released a new tool today called Xtract for VM. This tool, which is free to all Nutanix customers, brings the same one-click simplicity that Nutanix is known for to migrating workloads from ESXi to AHV. So how does Xtract for VM differentiate from other migration tools? First, it is an agentless migration tool. Xtract will communicate with vCenter to get a list of VMs that are in the ESXi infrastructure, and it will build a migration plan and synchronize the VM data from ESXi to AHV. During data synchronization and migration, Xtract will insert the AHV device drivers into the virtual machine. 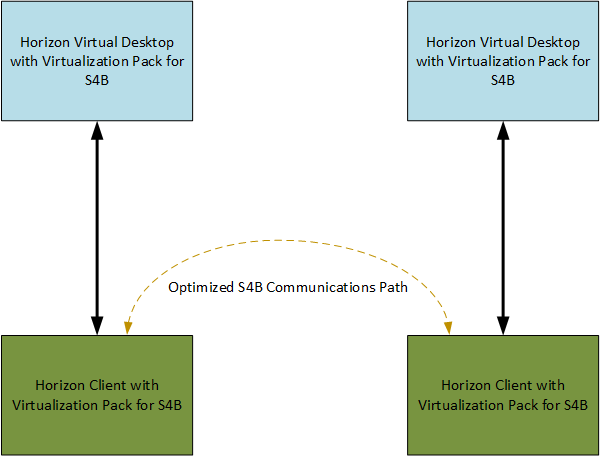 It will also capture and preserve the network configuration, so the VM will not lose connectivity or require administrator intervention after the migration is complete. By injecting the AHV drivers and preserving the network configuration during the data synchronization and cutover, Xtract is able to perform cross-hypervisor migrations with minimal downtime. And since the original VM is not touched during the migration, rollback is as easy as shutting down the AHV VM and powering the ESXi VM back on, which significantly reduces the risk of cross-hypervisor migrations. The datacenter is clearly changing, and we now live in a multi-hypervisor world. While many customers will still run VMware for their on-premises environments, there are many that are looking to reduce their spend on hypervisor products. Xtract for VMs provides a tool to help reduce that cost while providing the simplicity that Nutanix is known for. While Xtract is currently version 1.0, I can see this technology be a pivotal for helping customers move workloads between on-premises and cloud infrastructures. To learn more about this new tool, you can check out the Xtract for VMs page on Nutanix’s webpage. I’ve been blogging now for about seven or so years, and The Virtual Horizon has existed in it’s current form for about two or three years. It’s time to go multimedia. In the next few weeks, I will be launching The Virtual Horizon Podcast. The podcast will only partially focus on the latest in end-user computing, and I hope to cover other topics such as career development, community involvement, and even other technologies that exist outside of the EUC space. I’m still working out some of the logistics and workflow, but the first episode has already been recorded. It should post in the next couple of weeks. So keep an eye out here. I’ll be adding a new section to the page once we’re a bit closer to go-live. Good afternoon from Las Vegas. The EUC Showcase keynote is about to start. 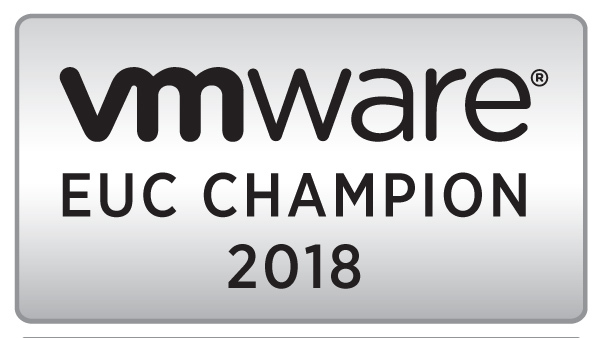 During this session, VMware EUC CTO Shawn Bass and GM of End User Computing Sumit Dhawan will showcase the latest advancements in VMware’s EUC technology portfolio. So sit tight as we bring you the latest news here shortly. 3:30 PM – Session is about to begin. They’re reading off the disclaimers. 3:31 PM – The intro video covers some of the next generation technologies like AI and Machine Learning, and how people are the power behind this power. EUC is fundamentally about people and using technology to improve how people get work done. 3:38 PM – Marginal costs of endpoint management will continue to increase due to the proliferation of devices and applications. IoT will only make this worse. 3:39 PM – VMware is leveraging public APIs to build a platform to manage devices and applications. The APIs provide a context of the device along with the identity that allow the device to receive the proper level of security and management. Workspace One combines identity and context seamlessly to deliver this experience to mobile devices. 3:42 PM – There is a tug of war between the needs of the business, such as security and application management, and the needs of the end user, such as privacy and personal data management. VMware is using the Workspace One platform to deliver a balance between the needs of the employer and the needs of the end user without increasing marginal costs of management. 3:45 PM – Shawn Bass is now onstage. He’s going to be showing a lot of demos. Demos will include endpoint management of Windows 10, MacOS, and ChromeBook, BYO, and delivering Windows as a Service. 3:47 PM – Legacy Windows management is complex. Imaging has a number of challenges, and delivering legacy applications has more complex challenge. Workspace One can provide the same experience for delivering applications to Windows 10 as users get with mobile devices. The process allows users to self-enroll their devices by just entering their email and joining it to an Airwatch-integrated Azure AD. Application delivery is simplified and performance is improved by using Adaptiva. This removes the need for local distribution points. Integration with Workspace One also allows users to self-service enroll in applications without having to open a ticket with IT or manually install software. 3:54 PM – MacOS support is enabled in Workspace One. The user experience is similar to what users experience on Windows 10 devices and mobile devices – both for enrollment and application experience. A new Workspace One app experience is being delivered for MacOS. 3:57 PM – Chromebook integration can be configured out of the box and have devices joined to the Workspace One environment. It also supports the Android Google Play store integration and allows users to get a curated app-store experience. 3:59 PM – The core message of Workspace One is that one solution can manage mobile devices, tablets, and desktop machines, removing the need for point solutions and management silos. 4:01 PM – Capital One and DXC are on stage to talk about their experience around digital workspace. The key message is that the workplace is changing from one where everyone is an employee to a gig economy where employees are temporary and come and go. Bring-Your-Own helps solve this challenge, but it raises new challenges around security and access. Capital One sees major benefits of using Workspace One to manage Windows 10. Key features include the ability to apply an MDM framework to manage devices and removing the need for application deployment and imaging. 4:10 PM – The discussion has now moved into BYO and privacy. 4:11 PM – And that’s it for me folks. I need to jet. This morning, NVIDIA announced the latest version of the graphics virtualization stack – NVIDIA GRID 5.0. This latest releases continues the trend that NVIDIA started two years ago when they separated the GRID software stack from the Tesla data center GPUs in the GRID 2.0 release. GRID 5.0 adds several new key features to the GRID product line. Along with these new features, NVIDIA is also adding a new Tesla card and rebranding the Virtual Workstation license SKU. Previous versions of GRID contained profiles designed for workstations and high-end professional applications. These profiles, which ended in a Q, provided Quadro level features for the most demanding applications. They also required the GRID Virtual Workstation license. NVIDIA has decided to rebrand the professional series capabilities of GRID to better align with their professional visualization series of products. The GRID Virtual Workstation license will now be called the Quadro Virtual Data Center Workstation license. This change helps differentiate the Virtual PC and Apps features, which are geared towards knowledge users, from the professional series capabilities. The Tesla P6 is the Pascal-generation successor to the Maxwell-generation M6 GPU. It provides a GPU purpose-built for blade servers. In addition to using a Pascal-generation GPU, the P6 also increases the amount of Framebuffer to 16GB. The P6 can now support up to 16 users per blade, which provides more value to customers who want to adopt GRID for VDI on their blade platform. The next generation GRID software adds support for the Pascal-generation Tesla cards. The new cards that are supported in GRID 5.0 are the Tesla P4, P6, P40, and P100. The P40 is the designated successor to the M60 card. It is a 1U board with a single GPU and 24GB of Framebuffer. The increased framebuffer also allows for a 50% increase in density, and the P40 can handle up to 24 users per board compared to the 16 users per M60. Edit for Clarification – The comparison between the M60 and the P40 was done using the 1GB GRID profiles. The M60 can support up to 32 users per board when assigning each VM 512MB of framebuffer, but this option is not available in GRID 5.0. On the other end of the scale is the P4. This is a 1U small form factor Pascal GPU with 8GB of Framebuffer. Unlike other larger Tesla boards, this board can run on 75W, so it doesn’t need any additional power. This makes it suitable for cloud and rack-dense computing environments. In addition to better performance, the Pascal cards have a few key advantages over the previous generation Maxwell cards. First, there is no need to use the GPU-Mode-Switch utility to convert the Pascal board from compute mode to graphics mode. There is, however, a manual step that is required to disable ECC memory on the Pascal boards, but this is built into the NVIDIA-SMI utility. This change streamlines the GRID deployment process for Pascal boards. The second advantage involves hardware-level preemption support. In previous generations of GRID, CUDA support was only available when using the 8Q profile. This dedicated an entire GPU to a single VM. Hardware preemption support enables Pascal cards to support CUDA on all profiles. To understand why hardware preemption is required, we have to look at how GRID shares GPU resources. GRID uses round-robin time slicing to share GPU resources amongst multiple VMs, and each VM gets a set amount of time on the GPU. When the time slice expires, the GPU moves onto the next VM. When the GPU is rendering graphics to be displayed on the screen, the round-robin method works well because the GPU can typically complete all the work in the allotted time slice. CUDA jobs, however, pose a challenge because jobs can take hours to complete. Without the ability to preempt the running jobs, the CUDA jobs could fail when the time slice expired. Preemption support on Pascal cards allows VMs with any virtual workstation profile to have access to CUDA features. This enables high-end applications to use smaller Quadro vDWS profiles instead of having to have an entire GPU dedicated to that specific user. As mentioned above, GRID uses round robin time slicing to share the GPU across multiple VMs. One disadvantage of this method is that if a VM doesn’t have anything for the GPU to do, it is skipped and the time slice is given to the next VM in line. This prevents the GPU from being idle if there are VMs that can utilize it. It also means that some VMs may get more access to the GPU than others. NVIDIA is adding a new scheduler option in GRID 5.0. This option is called the Fixed Share Scheduler. The Fixed Share scheduler grants each VM that is placed on the GPU an equal share of resources. Time slices are still used in the fixed share scheduler, and fi a VM does not have any jobs for the GPU to execute, the GPU will be idled during that time slice. As VMs are placed onto, or removed from, a GPU, the share of resources available to each VM is recalculated, and shares are redistributed to ensure that all VMs get equal access. GRID 5.0 adds new monitoring capabilities to the GRID platform. One of the new features is per-application monitoring. Administrators can now view GPU utilization on a per-application basis using the NVIDIA-SMI tool. This new feature allows administrators to see exactly how much of the GPU resources each application is using. In previous versions of GRID, the licensing server basically acted as an auditing tool. A license was required for GRID, but the GRID features would continue to function even if the licensed quantity was exceeded. GRID 5.0 changes that. Licensing is now enforced with GRID, and if a license is not available, the GRID drivers will not function. Users will get reduced quality when they sign into their desktops. Because licensing is now enforced, the license server has built-in HA functionality. A secondary licensing server can be specified in the config of both the license server and the driver, and if the primary is not available, it will fall back to the secondary. Two GRID 5.0 features were announced at Citrix Synergy back in May. The first was Citrix Director support for monitoring GRID. The second feature is beta Live Migration support for XenServer.